FIFA opened disciplinary proceedings against Swiss players Granit Xhaka and Xherdan Shaqiri on Saturday over their pro-Kosovo goal celebrations during the 2-1 win against Serbia. Switzerland's scorers on Friday, Xhaka and Shaqiri, celebrated their goals by making a "double eagle" gesture with their hands to represent the Albanian flag. 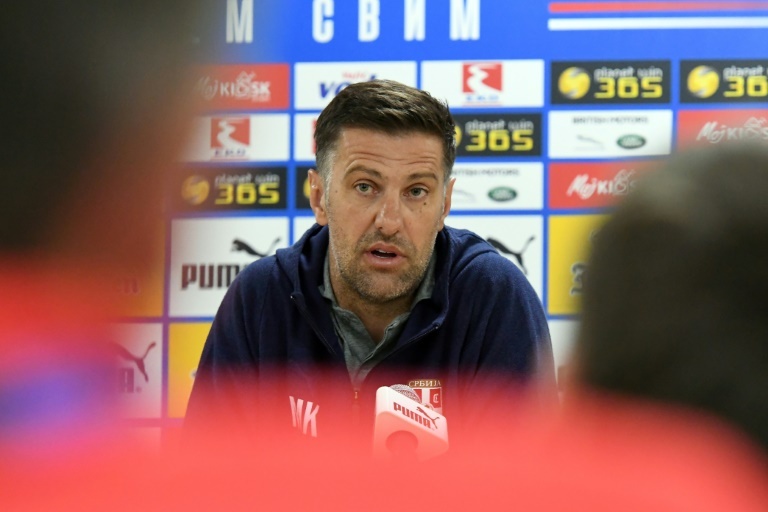 World football's governing body said it was also probing Serbia coach Mladen Krstajic for alleged statements made after the game. "We were robbed," Mladen Krstajic told Serbian reports Saturday, when asked about Brych's decision. "I wouldn't give him either a yellow or red card, I would send him to the Hague. Then they could put him on trial, like they did to us." The player said in a post-match interview his celebration was "just emotion" but added he was not allowed to talk about politics. Swiss coach Vladimir Petkovic indicated after the win that he was unimpressed by Shaqiri and Xhaka's celebrations. "You should never mix politics and football," he said. The Serbian football association had also reportedly complained to FIFA before the game about the Kosovo flag that adorned one of Shaqiri's boots. "We sought that he change the boots. It was a provocation, we were playing against Switzerland, not Kosovo," team official Jovan Surbatovic told Serbian state-run broadcaster RTS.